UrbnEarth UrbMat GMO Free Small Space Garden - PreOrder Now! Personally, I just love the idea of being able to grow my own vegetables, flowers and herbs. The issue is always finding the time to go to the store to buy all the seeds and supplies, then finding space in my yard/patio for them, and finally planting them (which can take hours). So, what ends up happening is some years I get everything and never plant it and others I take the time to plant most of it, but it doesn't grow correctly due to me rushing through the process. I'm thrilled to have been introduced to the UrbMat Garden System! 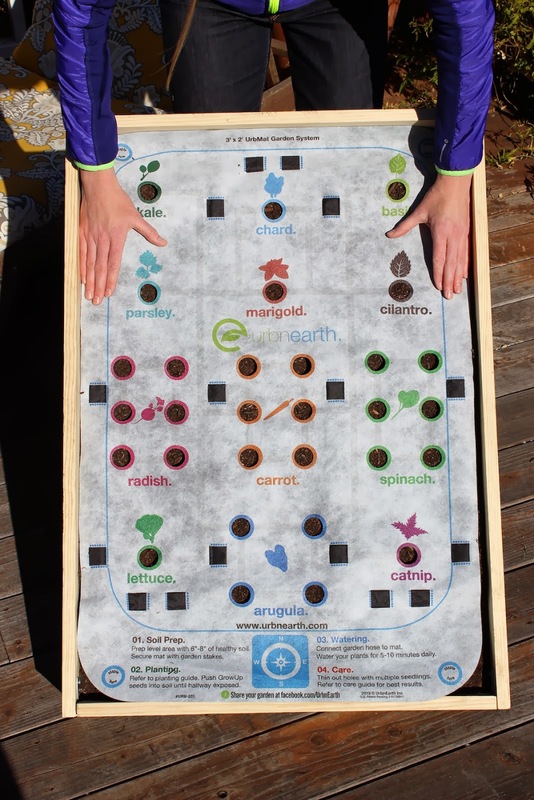 This system is just 3 x 2 feet and contains a mixture Non-GMO of flowers, herbs, and vegetables that you just lay down on the soil, place the designated "seeds" into the identified holds and that's it! Doesn't that sound much easier?! I know I am sold! 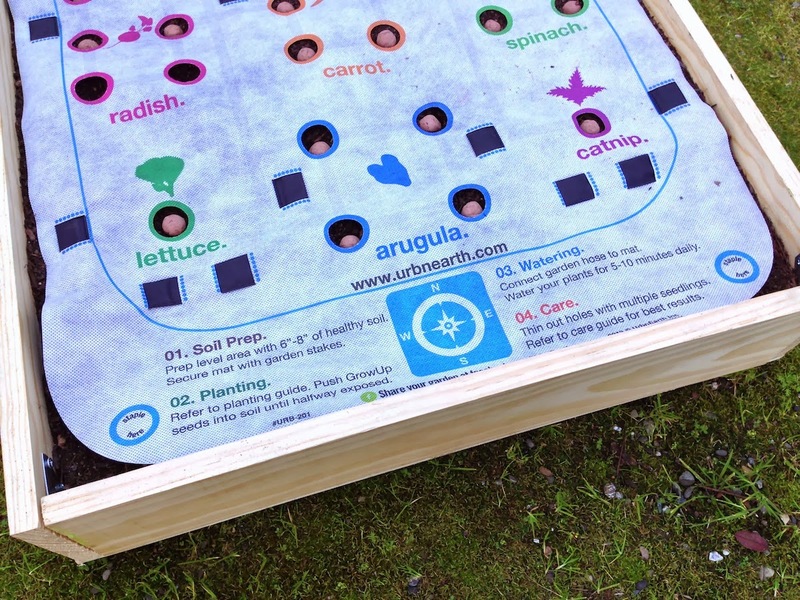 UrbMat is a small-space garden system that helps urban dwellers grow their own herbs, vegetables, and flowers. 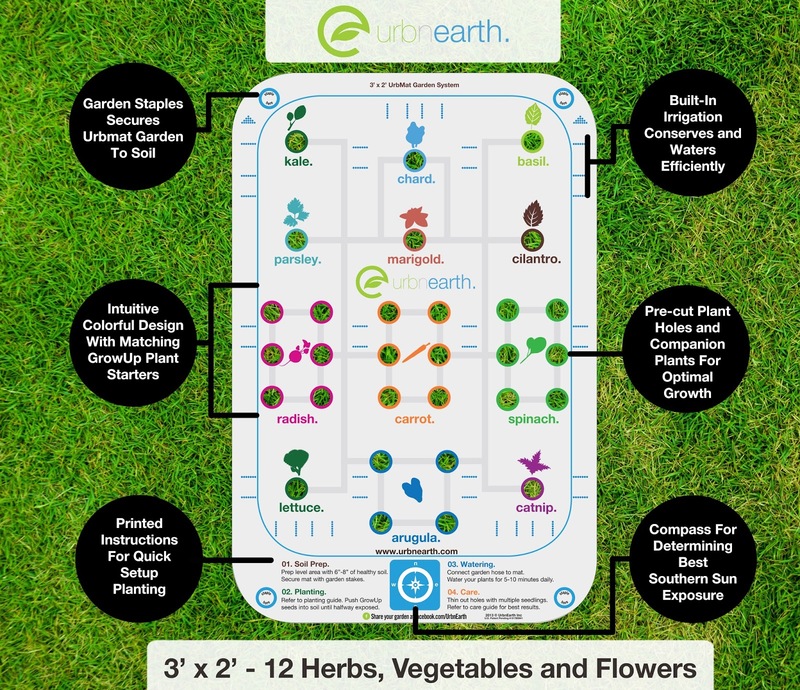 Designed for apartments and smaller living areas, UrbMat is 3 × 2 feet and creates an optimized planting and growth layout for the included GrowUps Plant Starters. GrowUps are a mix of chili powder, compost, worm castings, clay, and non-GMO seeds. The Urbmat controls weeds, saves water, maximizes small spaces, and takes the guesswork out of the gardening process. The Urbmats are made in the US and last up to 3+ years. Users can order more GrowUps as needed. Find an area that has soil or build a box. Lay your UrbMat on top of the soil. Match the GrowUps with each square. Pre-Order Now! UrbMats are available for pre-order on the UrbnEarth website. Enter the code SAVYMOMMY (all caps) and save 15% of your UrbMat order (code expires 12/31/14)! That means that one UrbMat will only cost you $59! It is sure give you back more than that in fresh herbs and vegetables! Social Media: Be sure to follow UrbnEarth Twitter & Facebook! Stay tuned this spring and summer for as I share my experience using the UrbMat! I know! I can't wait to plant it! Be careful of that catnip! It's a lovely plant (though it smells a bit dank) and your cats will love you forever! But it is part of the mint family and I swear mine grew 12" each night! Thanks for the tip! It's supposed to keep pests away (except cats lol). I am sure my cat will love it though! OMG i have been dying to garden but in our small apt w no patio cannot this will be so great! love this and esp that it is NON GMO!